I’m always looking for different recipes to make for breakfast, especially ones my daughter will eat before school. She loves her carbs and is always hungry, so anytime I can add in a little protein to her breakfast, I know she’ll be good. Plus, she’s not a milk drinker anymore, so these little jars of overnight oats give a good amount of calcium each morning. She has become pickier over the last couple of months….I wonder if taste buds really do change as we age? 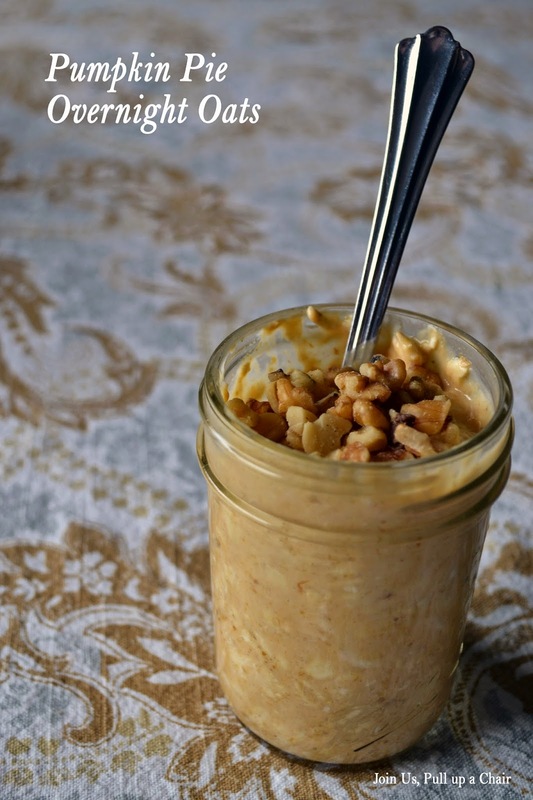 I had some leftover pureed pumpkin and thought it would great to make a pumpkin pie flavored overnight oats. It was so good!! I topped mine with some chopped walnuts and loved the bit of crunch they added. I’ll definitely be making these again this week. In a mason jar, mix together all the ingredients, Refrigerate overnight. Top with your favorite nuts and enjoy!